Gladiator petrol tricycle. Gladiator petrol tricycle. The Gladiator Cycle Company was founded in France in 1891. 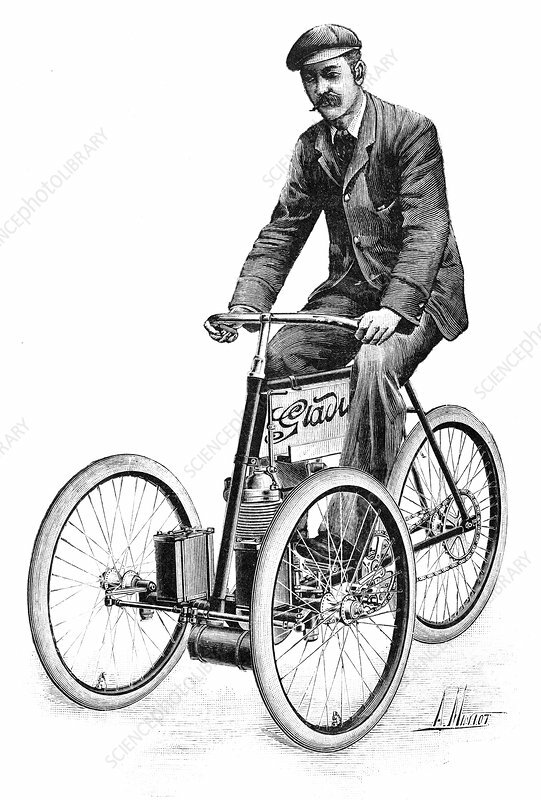 By 1896 it was producing motorised cycles, starting with tricycles and quadricycles. Production later expanded to include motorised bicycles (motorbikes). In this period, the company was part-owned by French industrialist Adolphe Clement. Artwork from the first volume (1897) of 'La Revue Scientifique et Industrielle' by French chemist and inventor Jules-Louis Breton (1872-1940).